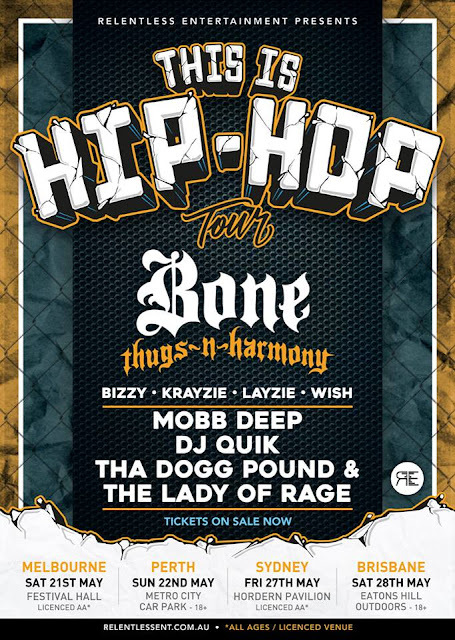 ... Aside from the lineup being fairly one dimensional for a tour called "This is Hip-Hop" and the lack of any elements other than rapping/MCing being represented (hey, I'm a Hip-Hop head not just a rap listener so I've got to keep it real), this show could still be worth checking out. The draw-cards for me personally would be DJ Quik and Lady of Rage. I got to see Mobb Deep on their last tour and I enjoyed their show but could live with not catching them again. 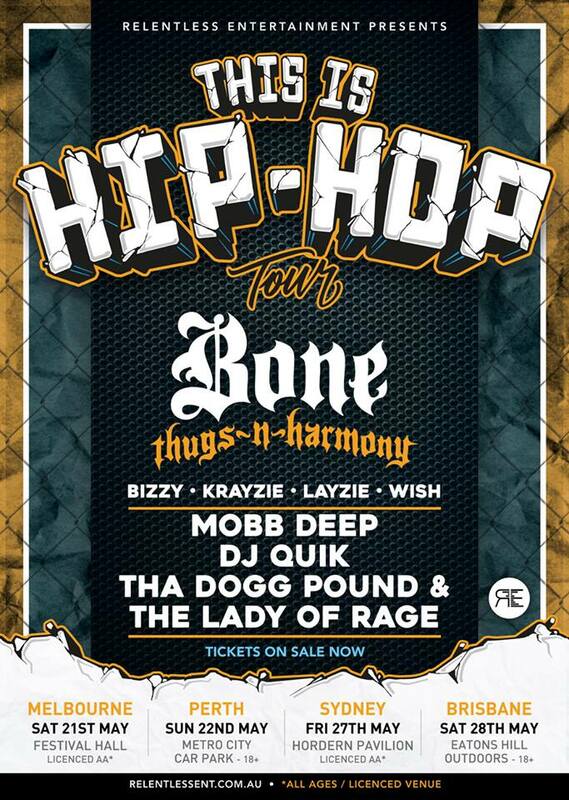 Honestly Bone doesn't do it for me any more and The Dogg Pound would either be awesome or lacklustre depending on energy given. If you get the chance check it out when it comes through.